The sermon delivered by the young and dynamic minister, Pastor Bankole Akinbinu of the Raleigh, NC Baptist Grove Church was entitled “SHINE” after scripture in Matthew 5:14-17. This was my second visit to the historic African American church founded in 1878 in North Raleigh located at 7109 Leesville Road in the last two years. The first time I heard him (without exaggeration) I thought that this prolific and humble pastor must have been –what Dr. Martin Luther King Jr. was like– as a young theologian and minister. I have great respect for the integrity and contributions of civil rights visionaries and leaders and I am still making such a comparison today. It has taught me that God can always… provide us with anointed and gifted people! The congregation was dressed casually for a readiness before and after fellowship to fulfill community service assignments around the City of Raleigh to help senior citizens, childcare facilities, soup kitchens, mentoring and youth programs. The church at this service was being thanked for support of the Real Life 101 501 c (3) organization. What was clarified for me I by Pastor Akinbinu today is that, Jesus himself, was a model “public servant” with a “public mission” edifying his “faith” through “good works” which exhibited the “light” of All Mighty God. It was a light and public work not to be taken for granted by the modern church and Christians. The good works to the needy should not be placed under a bushel which could be representative of worldly materials goods, like money, fine homes or even hiding behind the four walls of a church sanctuary. We can not be introvert hiding our light. Further, it is our time to “shine” in the face of economic challenge, racism and backward personal and collective ways. We are called out as individuals and as a body. We must not be “basket-faith” types of believers. We are in fact God’s workmanship called and re-born and transformed for the actual public service of our own generation. Once again it was a great message and this is a mighty Man of God. 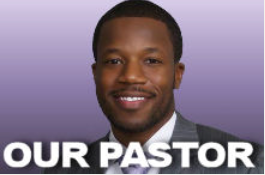 Check him and his dynamic church (young and old) out when you are in Raleigh. We believe that we discover life and fulfillment in a committed relationship with Jesus Christ (John 10:10). The life we desire and hope we need is found in Jesus! Sunday Morning Worship // 8:00 a.m. and 10:30 a.m.
Bible Study//Wednesday Evening // 7 p.m.